Talking about watches can be seen as talking in a universal language; watch enthusiasts from across the globe can get together and chat for hours without getting bored for a second. As this passion, this subject is something a lot of people like to talk about, it’s a natural cause you’ll find a lot of different individuals in this world. Today we are bringing you a woman – A woman? Yes a woman. The daughter of Mr. Elvio Piva – a man with a huge chunk of knowledge and passion about and for watches – who owns the ‘Tempus’ boutique in Italy. 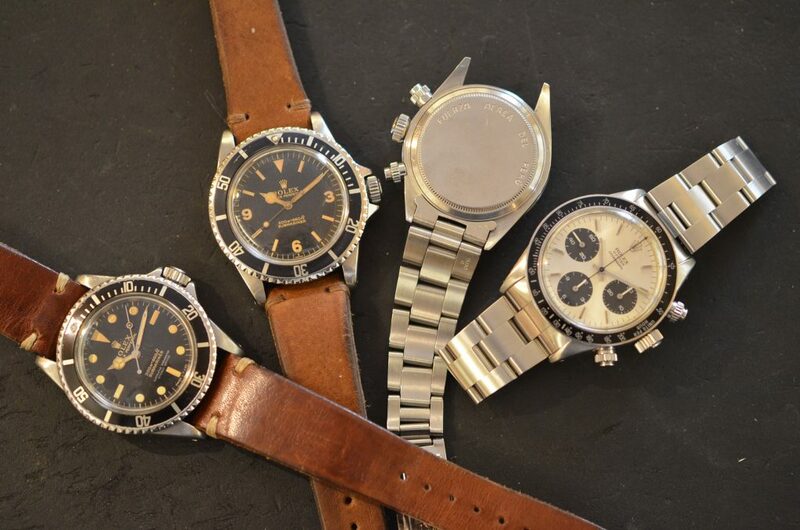 A heaven on earth for special vintage watches with a rich history. If you’re ever looking for a unique, I mean really unique vintage watch, you must visit them in their boutique in Padova. It’s a place – well actually, it’s the embodiment of watch passion. We understand a trip to Italy is not something you do in the blink of an eye, especially when you live on the other side of the planet. Luck has it that Italy is a great place for a vacation, good food, great landscape and well, everything very stylish. So, enough reasons to go anyway. The boutique is one of a kind, almost every watch there has a story. When entering the store, you will not come in contact with people who try to sell you anything – transferring the watch passion they have to you is their main goal. They are a real passionated story-tellers and their passion wil spark yours. But if we are talking about story-tellers, what is the story behind these passionate watch heads? 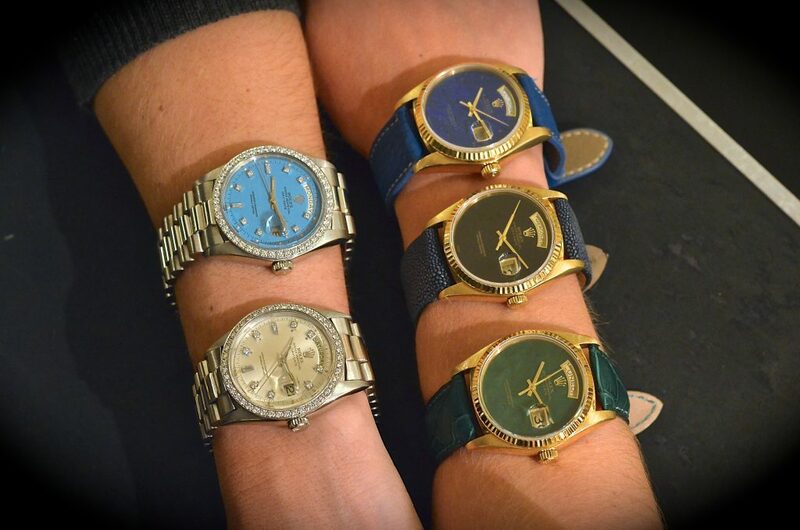 We had the privilege to chat with a vintage watch wearing gorgeous, Maria Giovanna Piva. -When and how did your passion started? Since I was a child, my father has always been a big collector of timepieces, a passion that – in 2008 – became a job. During the years I have always tried to follow him and help him whenever I could. The turning point came when I met a man who was another watch enthusiast: the two most important men of my life were in love with watches, impossible not to admit that they transmitted me their passion and the will to learn more about this amazing world. After my secondary school diploma I started to follow my father in the shop and during his travels around the world too, meeting private customers, taking part in shows and fairs. My passion has been a product of their passion, and I think that this is the most romantic part of my job, a job that I love and that everyday gives me satisfaction and gratification. -What was your fist premium watch? How did you became interested for that particular model? Is that particular watch still in you private collection? One day I discovered a watch in the safe that I never noticed, it was a vintage Submariner 5512, with a brown stardust dial and a Bart Simpson crown. It was amazing, the most beautiful watch I have ever seen. It was so strange and completely uncommon for a black dial to turn in this light brown, it captured me and I decided to wear it. Unfortunately a big friend of us saw it and asked me to sell it to him. I disagreed but I had no choice because it belonged to my father. I only gave it to him after his promise that one day he would give it back to me. Two years later he still loves the watch as I loved it and he is still loyal to the promise he made me. -Over the years you have achieved a great collection of timepieces and your fair share of knowledge, how did you become so successful? I became so successfull probably because as a teenager I have always spent a lot of time on the social media, surfing between Instagram, Facebook and other websites. Internet in these years is our first promoter, a free and continuous source of advertisement. On the other hand it’s especially thanks to my father who has always given me the opportunity to follow him in his travels that I have started to be known by some collectors and dealers in the watch market. Concerning the watchmaking, I appreciate the tourbillion, the super complication movement and the moon phases because I find them more than fascinating, actually incredible. A little piece of steel can tell you the exact face of tonight’s moon, well for me that’s more than incredible. About collecting I think that the most beautiful part is the idea that one day, your entire collection will pass to your sons and daughters. Let me tell you a little story: when I was 10 years old I discovered a little stamps collection of my father, he probably did it when he was 10 as well, but the enormous emotion that it transmitted to me was irreplaceble. The idea of my young father searching and looking for these stamps around all fairs and then collecting them in an album that I occasionally found gave me a lot of excitement. And this is the same idea that drove me and got me enthusiastic about the fact that one day my entire collection will pass on to my sons. A lot of times people ask me this question and often my answer changes, it depends mostly on the period of my life, on my mood and many other things. I’m still a woman and this is a synonym for lunatic! I probably don’t have a particular model on my mind, although my favourites are the vintage submariner, especially the 5512 with brown dial, like the one that I already told you, and the Rolex DayDate that I think is the most versatile watch, because it can be very masculine in platinum or yellow gold (maybe with a stella dial), but at the same time with a diamond bezel and a precious stone dial can be the perfect watch for an elegant lady. Rolex is without any doubt my favourite brand, starting from Submariner and ending at GMT, and manual Daytona, passing through dials, bezels, and signs there is an entire world to discover. The most fascinating thing of Rolex is the history: consider, for example, the famous FAP’s watches (Fuerza Aerea del Peru’), or a dial with arab crest, you can wear a watch that made the history, a watch which traveled around the world and has been worn by the most different personalities. That’s why Rolex is, in my opinion, the greatest icon, because it’s a feeling that you are wearing not only a piece of steel, but much more than that. A feeling that – until now – no other brands have transmitted to me. Talking about the history of a watch, we are just story-tellers, and you simply have to choose if this story fascinates you. Passion can only be transmitted by other passion, it’s an autogenerating process. Of course this is a work but first of all we have to appreciate watches as they are. People who buy watches only as an investment are smart, but not real passionate lovers of timepieces. -If you could give a few tips for starters, what would they be? Surround yourselves by people who love this job, who first of all are collectors and watch enthusiasts, they would be the first to help you to achieve the basic knowledge and to introduce you to the right channels. Read books about watches, go to visit museums of timepieces, like the Patek Philippe’s one in Geneva. Try to follow internet forums of watch enthusiasts who are always pleased to help starters and teach them. And last but not least choose this job only if you love it and always remember “choose a job that you love and you won’t work a day in your life”. 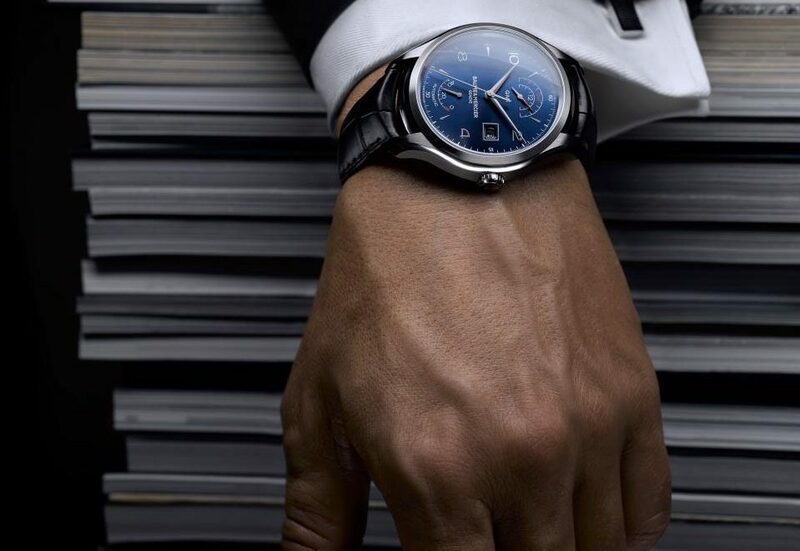 -If you could only have one watch, which model would you be wearing and why? That’s a difficult question and I’m not able to give an answer. It is a sort of question like: “Dear mother, if you could save only one of your children, which one would you choose?”, of course there is an answer but it is too painful to think about it. 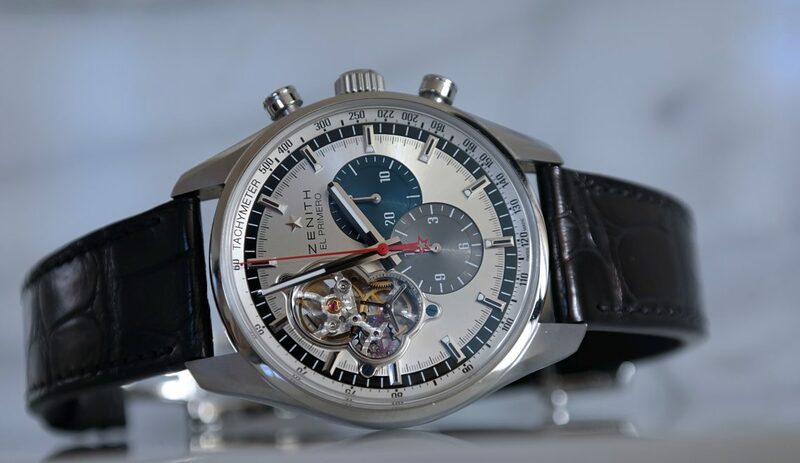 -As a watch trader it is sometimes hard to separate the business part and collecting part of watches, which watch would you never sale, and why? Sometimes it happens to buy important watches that are unique, like a particular GMT belonged to a general during the War or a Daytona with a particular dial. Those are watches that you would never sell because you know they are unique and you probably won’t find them anywhere else. But this is a business and it is the worst part of this work, to say goodbye to a watch which you started to get attached to. I’m an incurable romantic woman, how couldn’t it be hard for me, to separate the business part from the collecting one? We can’t have everything we love.